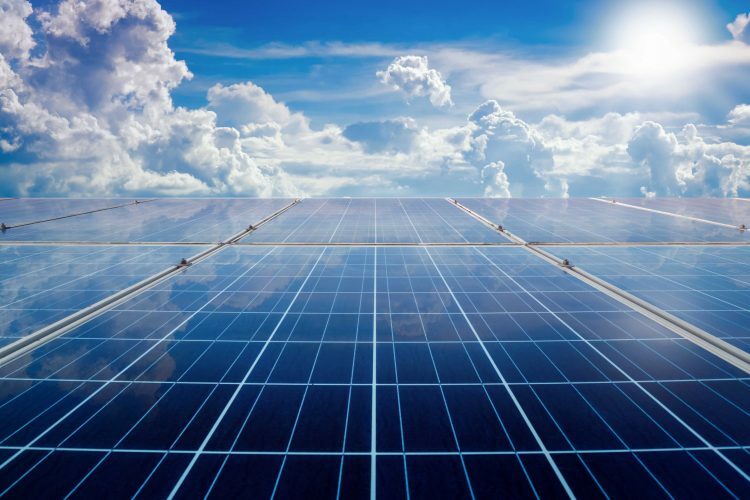 A recently developed solar panel coating that dramatically improves efficiency may represent a watershed breakthrough for the proliferation of solar energy worldwide. Policy initiatives have been one major driver of increased demand for renewables. In India, Prime Minister Narendra Modi has set a goal of sourcing 40% of all electrical generation from renewables by 2030. Meanwhile, in the United States, two of the largest and most populous states—California and New York, home of 65 million Americans—have adopted a “50 by ‘30” benchmark: state leaders there hope to source 50% of all electricity from renewable resources by 2030. Hundreds of gigawatts of renewable generation projects are already underway in an effort to meet these goals. Reaching such ambitious targets will require not just the commitment of leadership from the top down, but serious innovation in the realm of photovoltaics. One such invention that will greatly enhance efficiency is Photonic Solar Conversion (PSC). Invented and developed by SunDensity and Dr. Nish Sonwalkar, this revolutionary technology represents a tipping point in the scalability of solar panel generation. The technology consists of a metallic coating that is applied to solar panels, either retroactively or during the initial production phase. When sunlight contacts the coating, its wavelength shifts to a more energetically profitable part of the spectrum. By downshifting photons and increasing the density of electrons, Photonic Solar Conversion achieves a quantum efficiency exceeding 100%. The result is a solar panel capable of generating 20+% more power, a previously unheard of margin of improvement. The immediate benefits include shortened payback periods for solar projects, which in turn encourages further investment in solar networks going forward. Consumers stand to gain from decreased costs of energy production, as well as a cleaner, less carbon-heavy product. SunDensity is partnering with Power2Peer to bring PSC technology to communities in the form of blockchain-enabled solar microgrids. Participants will enjoy the benefits of Photonic Solar Conversion as well as the freedom to transact energy with one another via Power2Peer’s blockchain-secured trading platform. Sharing solar energy across microgrids will ensure that sunlight is never wasted, but rather purchased at fair market by those who need it. Producers earn income while consumers pay less for clean electricity. With blockchain smart contracts, the entire process can even be automated for convenience. By combining Photonic Solar Conversion technology with the benefits of an energy blockchain, Power2Peer and SunDensity are ready to complement the booming global solar industry by dramatically boosting grid efficiency. Local communities will enjoy the job creation and augmented income that comes with new solar infrastructure, not to mention the improved resiliency the microgrid offers as a failsafe. By taking a small fee from each transaction and for connecting microgrids, Power2Peer will demonstrate a sustainable business model in the hope that others will follow. Visit Power2Peer’s equity crowdfunding campaign here and join the green energy revolution! Together, we can bring environmental change to a state of market viability.